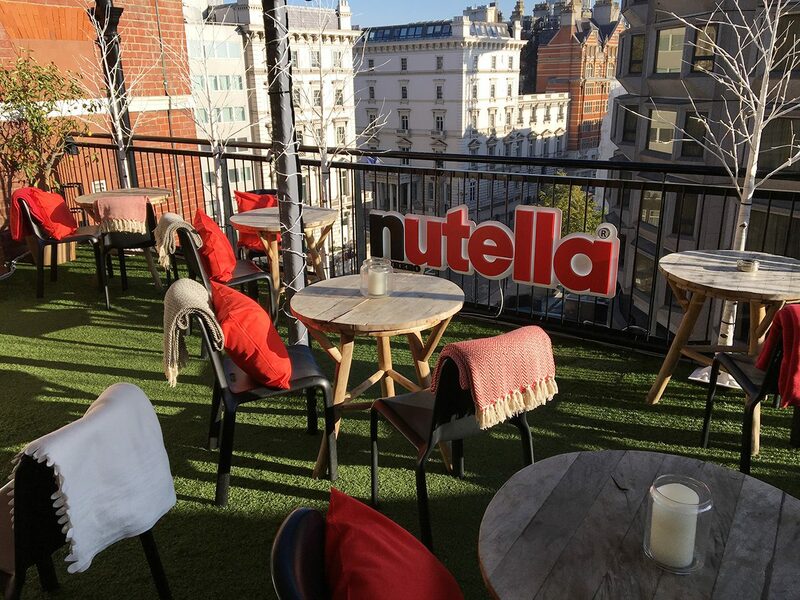 Ferrero teamed up with Department stores Harvey Nichols and Brown Thomas, creating areas to offer personalised jars for the Christmas approach. 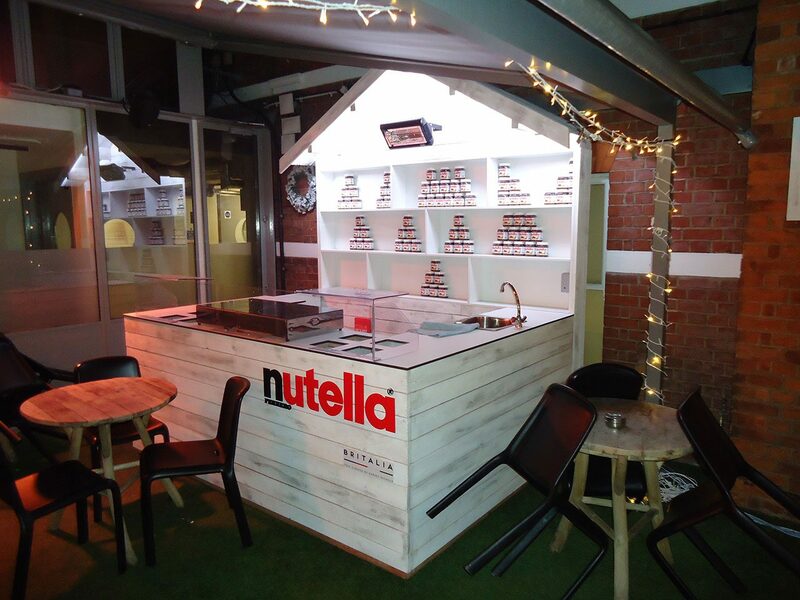 Harvey Nicholls terrace café was transformed into an alpine themed area complete with Ski Lodge Kitchen offering hot ‘Nutella inspired’ food. Décor also included floor and wall decorations, and an abundance of illumination and soft furnishings to make the outdoor space appealing throughout trading hours, despite the early winter sunsets. 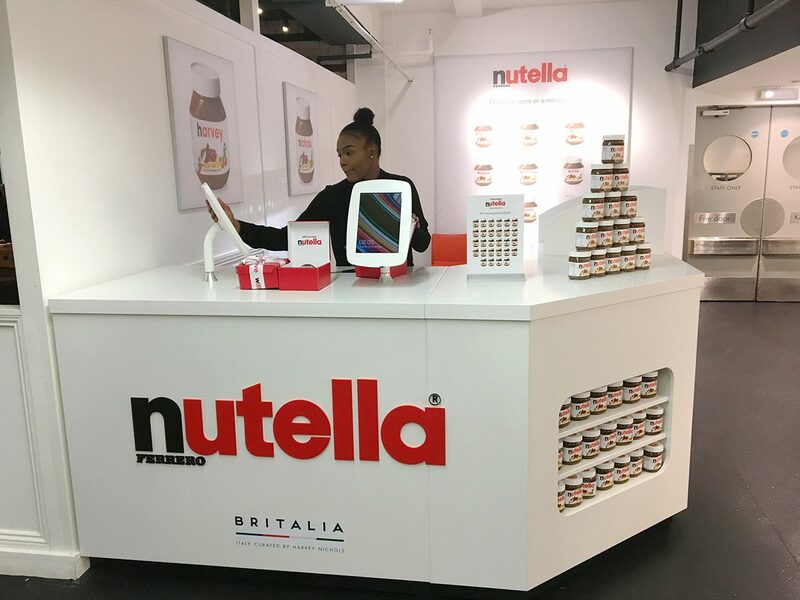 A specially built counter was also used and travelled to regional stores with retailer’s PR driving awareness, as this roadshow moved across England and Scotland. 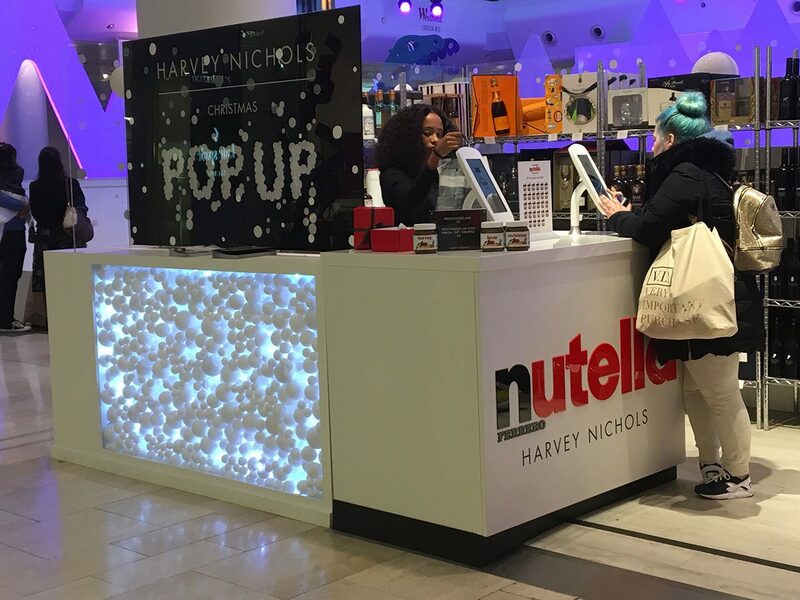 A final Nutella Personalisation Counter was built for Harvey Nicholls pop-up store as part of their Westfield White City siting. 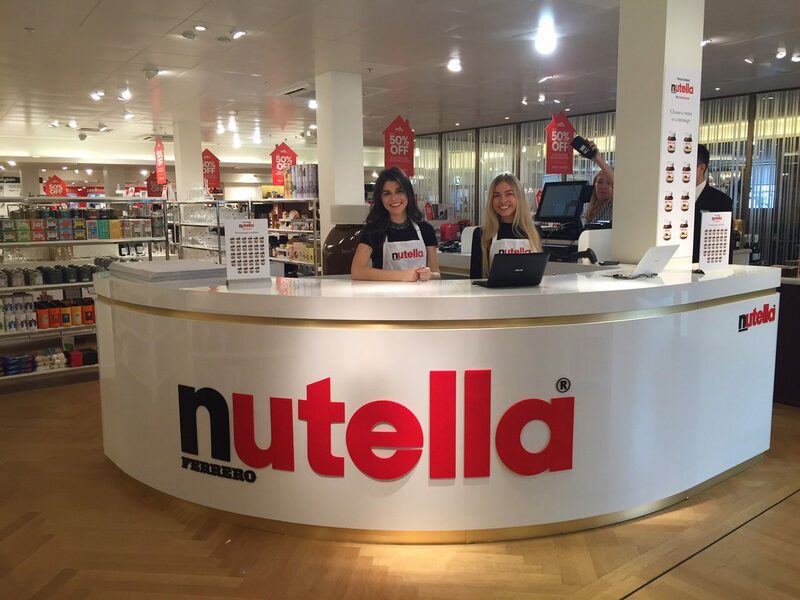 Brown Thomas used specialist counters at its stores in Dublin, Cork and Limerick. These were used for jar personalisation and included ‘bounce pads’ for customer selection. All sites required bespoke counter designs to suit their footprint and usage type of adjacent space. Both Brown Thomas and Harvey Nichols provided excellent feedback on the speed and flexibility of Three Points service offering and we look forward to working on more projects in the future.